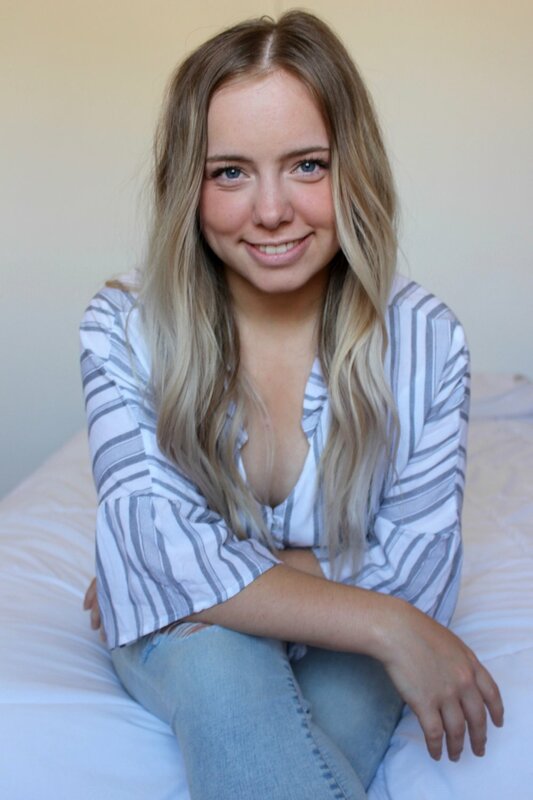 College and Twenty-Something Lifestyle Blogger Jaide Pipella describes her transformation from lost first-year student to confident academic success coach and blogger. She shares how she learned to cope with common college challenges like under preparation, anxiety, and the transition to adulthood. Plus, she reveals how learning to not only manage her schedule, but more importantly manage her mind helped her dramatically reduce stress, boost her grades to a 4.0, and give her the freedom to do things that make her happy. Jaide's first-year of college was so difficult that she seriously considered not returning after her freshman year. She struggled with serious anxiety, especially test anxiety, that stemmed from feeling very underprepared, but she knew that if she wanted to be a teacher one day that dropping out of college was not an option. Instead, of running from the problem, Jaide decided to focus on becoming a better college student. Her first step to improving her situation was to learn how to manage her schedule. After researching several scheduling strategies, she decided that she would get a handle on her life by mapping out dedicated time blocks for studying, fitness, and friends. She first allocated at least an hour of work time each day for each of her classes. Once she had blocked out dedicated time for her work, she also block out dedicated time for herself. She uses this "me time" block for things like going to the gym and hanging out with friends. As common sense and simple as step this step might sound, in my 15 years of college success coaching this is the first thing I do with clients who are struggling with their college experience. Many people can become overwhelmed when they work only from a to-do list. The simple extra step of plugging your tasks into dedicated time blocks can be transformational. Just by allocating time each week for specific tasks she found she was able to get stuff done well ahead of time which significantly reduced her stress and anxiety. She also started giving herself due dates prior to the formal due to ensure she had plenty of time to proofread, visit support services, and account for unexpected setbacks. Not only did she dramatically reduce her stress, but she also dramatically improved her grades to a 4.0 GPA. Not only was she earning awesome grades she was also actually learning and retaining the information. Jaide and I agree that keeping a well maintained sustainable schedule is the secret to success and wellbeing during college. We also both know that there are many obstacles in the way of even the best intentions of keeping a schedule. One of the biggest challenges that Jaide faced was actually sticking to the specific times she dedicated for work. She found it critical to avoid the temptation to reschedule work time for fun. She implemented personal systems to incentive sticking to her schedule. She encouraged herself to stick to her plan by enlisting the support of her friends. She found that committing to working alongside a trusted study buddy was enough to hold her accountable. She also found that creating dedicated workspaces helped to minimize distractions. When it came time to work she made sure that she was physically sitting in a physical space specifically designed for academic work like the library or the personal desk in her room. Being in a dedicated workspace helped her to focus and further commit to getting stuff done. The college experience can be daunting. You've got to manage new social expectations, your health and wellbeing, and your personal business all while trying to learn complex information. The secret to success is creating sustainable habits that you can continually replicate and adapt. These systems help take the guesswork and overwhelm out managing it all. Jaide found that learning how to manage her schedule, wellness, money, relationships, and academics all boiled down to implementing systems. She worked to find ways of doing things that worked for her particular personality and style. She recommends starting with an approach that is working for someone else and personalizing it into something that really truly matches you. The biggest barrier to success is the myth that you are the only person struggling. In Jaide’s experience, every college student she knows is struggling to some degree. Success isn't about avoiding adversity its about learning how to cope with adversity. Feeling lost is completely normal. You are in a new place, with new people, and new expectations. It's going to take some time to figure it all out. College and high school are really different and it's not always a seamless transition. Jaide recommends using support services and maintaining a healthy lifestyle by exercising, eating healthy, and managing stress as essential ways to nurture yourself during this time of life. If this is your first year in college we've compiled a few of our favorite resources to help you get started. You can check them out here. Don't second guess yourself. Jaide found that the competitive university environment tempted her to compare herself to other students. She started to second guess her major, compare her performance, and question her decisions. She strongly recommends not shifting who you are based on what others or doing, saying, or thinkings. Instead, she found that its best to use your happiness as your guide. Also, as weird as it sounds she recommends not worrying about your future so much! Live in the moment. You’re in college. There is room for mistakes. Yes, try your best, make sound decisions, take care of your body, but live in the moment and have fun because it goes by fast! Remember you really do have the power to create a better college experience. Share your first-year stories, wisdom, and questions in the comments below. And remember be a decent human and refrain from judgement, negativity, or trolling. Are you subscribed to the podcast? If not, I encourage you to get subscribed today. It is the very best way to get the latest episode right to your phone. Click here to subscribe on iTunes. Click here to subscribe on Google Podcasts. Love the podcast? I would be eternally grateful if you popped over to iTunes and left a review. Reviews help other people find the podcast. Plus, they really make my day. Just click here to review, select “Ratings and Reviews” and “Write a Review” and let me know what you love about the podcast. Thanks a million! Jaide Pipella recently graduated from her Bachelor of Arts Degree with a focus in Geography, Psychology, and Mathematics. Jaide shares her own college tips and advice for twenty-somethings on her blog jaideraine.com, which she created to document her journey through college. She is now on her way to obtaining an Education Degree while also continuing to blog and inspire others to do what makes them happy. You can follow her on all social media @jaideraine to find more tips for college success.